Rate this Article Despite the acquisition of Oculus by Facebook, Mark Zuckerberg stated that it would take VR around 5 to 10 more years to get to where it's suppose to. Let's take a look at some reasons why VR still isn't there... yet. Despite it's continuous rise in popularity, Virtual Reality as a technology is not going to go mainstream anytime soon. The technology as we know it is still practically in it's infancy and what we see and experience today is but the tip of the iceberg so to speak. For VR to be considered as mainstream in a sense just like Radio or TV or the home computer for that matter, VR has to fit in the applications of our everyday lives the same way we use the current technologies of today. VR still has a long way to go although present trends predict continual growth in the years to come. 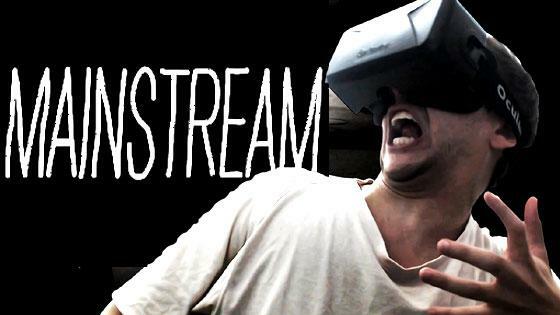 As of today, the focus of Virtual Reality is mainly in the games and entertainment industry. The outcome is really positive in terms of growth and development but the immense push to market the technology in order for it to roll towards its mainstream goal is quite evident in the extra hype that VR receives. By all means, with all that push, VR will eventually get to where it's going. However, let us first consider the current drawbacks, limitations and market situations that despite the success of the PSVR will continue to hinder VR as a mainstream technology in use today. Take note however that we are not trying to debunk or downplay the potential and wonders of VR technology, but rather to present what needs to be overcome in order for a VR device to be accepted as naturally as possible for mainstream use. The first and foremost factor to consider would be the accessibility of it. In the world of appliances and devices, most of the time, accessibility means the price. People are aware of VR. Many have seen and experienced the awesomeness and potential of it. Problem is, how many can really afford it. The cheapest is the PSVR. We won't even include the smart phone and cardboard market into the equation for obvious reasons. First, you need a PlayStation 4. A lot of people have the PS4 as in the western world this may be a common thing, but not to kid ourselves, the game console is expensive. Most parents would rather shell out for a PC that everyone can use for so many things than a dedicated gaming box like the PS4. Once you have a PS4, you will need to purchase the PSVR. Of course the PS4 and the HMD can be bought as a set but it's still going to cost you a lot. Probably won't be much of a problem in the west but in order to be really mainstream, it should be accessible to almost the whole world. Why is the PC accessible and mainstream, because in certain parts of the world, the price has been brought down for the people of that area to be able to afford it. A generic PC (no brand) will cost way way cheaper than the cheapest branded PC in the US of A. Yes, VR will get there but not anytime soon. As for gaming consoles, it has always been a niche market. Believe it or not, a lot of people do not have access to console games the way they have to PC games. Steam itself offers a lot of free games for download. Bootleg copies aside, you have to purchase the cartridge or DVD for the current game consoles and/or handhelds just to play a game. Another factor to consider would be the combination of the current technological limitation and the need for high-quality realistic content. VR as a technology is still under development and there are still several things to overcome. First, the headset is fidgety and obtrusive. Comfortable, yes, but still bulky like a brick hanging on your face and a tether to the PS4 or gaming PC. This needs to be further miniaturized and remote (no more tether). Optical and graphics technology. While the PSVR can be used for several hours at a time, the Oculus and Vive might make you throw-up if used too long. The frame-rates, max angle of view and graphic quality have to be worked out, meaning greater computing power and there goes the cost. Low cost and high quality would definitely be a priority to really go mainstream. The PSVR is already heading in the right direction both hardware and content wise but still far from a fully immersive experience. For one thing, you can't walk around like the Vive. This will get better as time goes by as developers combine the technologies for the ultimate HMD which would probably be a single self contained unit. Just put it on and away to VR land you go. No more problems with setting up the Vive or Oculus with the gaming PC. Combine this with affordability and almost everybody will have one just like a cell phone. For VR to go mainstream, it'll need fully immersive and realistic content not just for games but other important applications as well. The Vive and Oculus let's you disassemble a robot with that mean AI from Portal watching over you. This is just like a demo game but the potential for application in engineering and design is immense. Games that put you in a VR environment where you can move around and explore for an unlimited period of time without the effects of vertigo and easily accessible to the masses would end up what video games would probably be in the near future. There are no doubt other factors that have to be dealt with with respect to VR but having VR as a tool for everyday use and the foremost medium of entertainment (replacing the TV) would eventually be the mainstream goal of the technology. It's just a matter of time as VR will get there which brings us to a very important factor that can hinder the continual growth of VR, greed. VR is a technology where the profits come as the technology grows, long term. Most investors want their money back right away which would endanger VR to be turned into a commercial profit based endevour instead of the real purpose and potential of the technology as an awesome tool for the use of mankind to make life better. Just like man built vehicles, electronics, power plants, medical technologies and the like, so is VR. Regardless of this, VR will go mainstream but not today. As to when, it will depend on when VR will serve it's real purpose.